IABC Waterloo started Break Through in 2017 to offer something totally new to communicators in the Waterloo Region. The purpose of Break Through is to provide attendees with the skills and strategic thinking they need to effectively engage their audiences in today’s rapid-fire communication landscape. Communicators will learn about the latest and greatest industry info and trends, so they can take the next step in their careers. Attending the Break Through Communications Conference is a great way to grow your knowledge and network with fellow professionals in the communications industry. This communications conference offers comprehensive and focused topics that are highly relevant to communications professionals in a variety of fields. Choose from exceptional sessions on a variety of topics. Leave with a toolkit bursting with the knowledge and skill to tackle any issue. We are proud to offer two tracks. Participants may mix and match between tracks, details will be confirmed once you register. This is your chance to work with and learn from outstanding professional communicators. Expand your network, with more than 100 participants in attendance. The 2019 Break Through Communications Conference will bring together an array of influential speakers from across various industries with a variety of experience levels and expertise. Click through the list of speakers to see their profiles and session topics. For communication professionals aspiring to a leadership role, this track empowers them to explore self-organization and how to organize their efforts to strategize for success. Sessions offer case studies and examples of strategy in action. This track offers both what communication professionals need to know and how to do it. Sessions explore trends in the communication profession, the latest research and the skills needed to remain current. Thanks for hosting such a fantastic local event! Usually we have to travel to a major city to find a high quality communications conference and it was wonderful that this one was so close to home and offered a taste of local talent. An invigorating and informative conference. I walked away feeling inspired, motivated, and knowledgeable of key strategies that can/should be used in communications. As a student this was a fantastic experience! Though all speakers gave me a lot to put into my toolkit, the panel was especially relevant for me. So many tips and encouraging stories for me to consider as I enter the workforce! IABC’s Break Through conference gave me the opportunity to connect with engaging and thought provoking people in my field. Applying the innovative tips and tricks I learned from the speakers and other event attendees has already made a positive impact on my professional and personal life. Not a member? Not a problem! If you want to stay in-the-know with what’s happening at IABC Waterloo, subscribe to our newsletter here. You’ll get insider information on upcoming events, new blog posts and even job opportunities. IABC Waterloo has been bringing together communication professionals in the Waterloo Region and surrounding areas since 1983. IABC Waterloo is managed by a board of volunteer leaders; we support our community of business communication professionals by bringing together both IABC members and engaging non-members. We do so through innovative thinking, shared best practices, in-depth learning, career guidance and by providing high quality professional development events.  If you have any questions about IABC Waterloo, would like to join the Board or be a part of Break Through next year, please email us at breakthrough@iabcwaterloo.com. © IABC WATERLOO 2019. ALL RIGHTS RESERVED.